Those who attended our Ready. Levy. 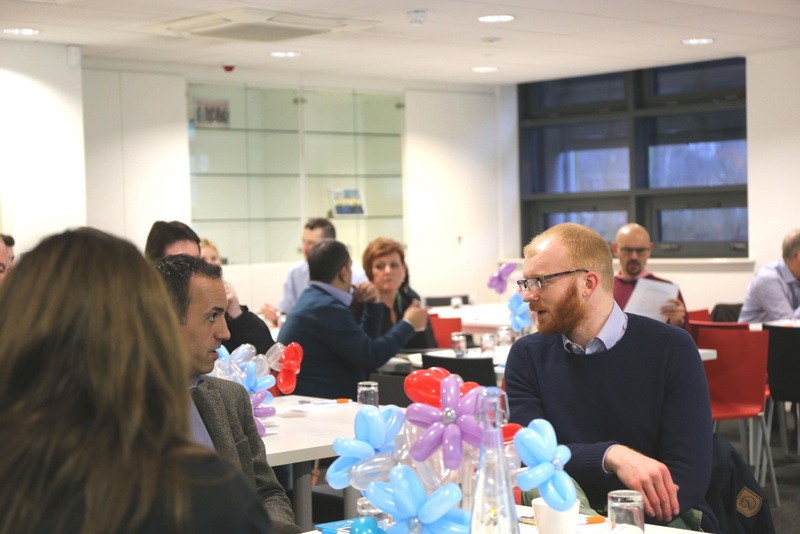 Grow employer event on Wednesday 25 January heard from the Head of Uni@Work, Coventry University’s Associate Dean, the Chartered Management Institute (CMI) and two current Degree Apprentices in a panel discussion about how to get the most from the Apprenticeship Levy. 1) Many employers don’t feel they are ‘Levy ready’ – despite the Apprenticeship Levy starting in April this year. Most of the employers attending estimated – on a scale of one to five – that they were at levels one or two. Simon Openshaw, Chartered Management Institute (CMI) Apprenticeship Project Manager said that the level of understanding among employers has increased over the past 12 months, but still has a way to go. There is huge interest in integrating the Levy into learning and development strategies. 2) There are currently 54 Higher and Degree Apprenticeship Standards – and more can be created. Claire Buckland, Head of Uni@Work, said Coventry University embraces the opportunity to partner with employers to create Higher and Degree Apprenticeships for both new and existing employees. 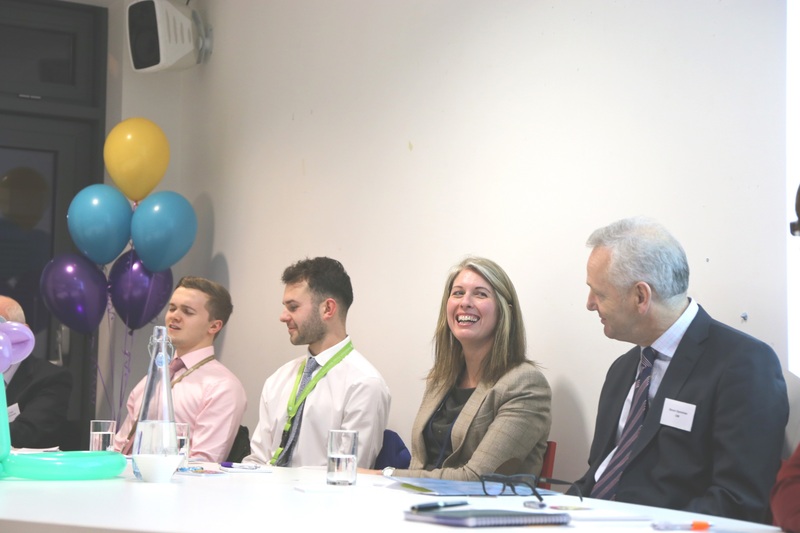 From left to right: Daniel Taylor and Harry Cleevely, GE Aviation Degree Apprentices, Claire Buckley, Head of Uni@Work, Simon Openshaw, Apprenticeships Programme Manager, Chartered Management Institute. 3) Degree Apprentices don’t miss a traditional university experience. They earn a good wage plus work-related benefits. All their tuition fees are paid. They get work experience plus a professional qualification (Chartered Manager) alongside their degrees. They have good access to career progression. Their university modules are related to their job roles, so they can apply what they learn. Their increasing skills and knowledge result in long-term savings and cost benefits for their employer. They are learning to communicate and form relationships with people of all ages and at levels, and to work within a team. They have acquired self confidence. 4) Despite the benefits, schools are not recommending Higher and Degree Apprenticeships to Sixth Form students as an alternative to university.  Stephen Peak, Coventry University Associate Dean, said this is because their success is currently judged on university places gained, not apprenticeships. 5) Apprentices must have 20% protected time for study – but it’s flexible. Employers can decide how this may be taken, according to their business needs. In the first three years of their degree programme, Dan and Harry’s employer gave them six days over two months, plus five hours a week. Different cohorts (study groups) meet on different days of the week, so as to minimise risk to the company’s productivity. This investment can be balanced against gains made due to Apprentices’ increased skills, resulting in greater contribution to savings and profitability. By 2025, 75% of the workforce will be Millennials (people aged 18 – 34). Their expectations about the employment relationship and ways of working demand a new approach. The UK labour market will need 1m new managers by 2020 – yet 71% of leaders surveyed by CMI confessed they could do better at training managers – or don’t train them at all. He also quoted CMI research suggesting that investing in learning and development can increase the performance of organisations. Each Chartered Manager creates an additional £391k for their organisation over the lifetime of their employment. For more information on the Uni@Work Chartered Manager Degree Apprenticeship developed in partnership with CMI, please get in touch.